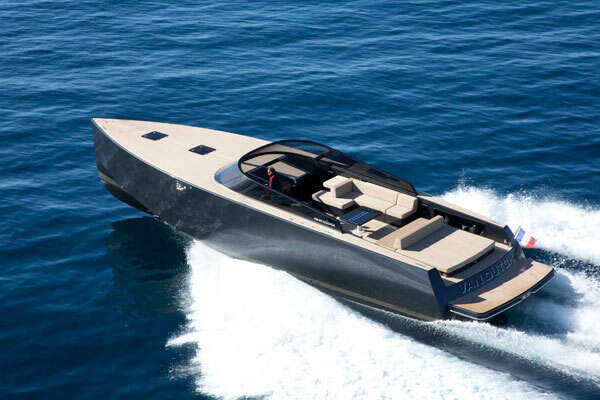 One of the world’s top luxury ship makers has showed the newest of their luxury concept boats – Symmetry. The grand and stunning super yacht that was exhibited at Monaco Yacht Show 2015 is made stand at a grand five-hundred and ninety feet in length and sport 6 decks worth of perfection. Sander J. Sinot, the Netherlands-born and based custom-designer of super yacht concepts designed the yacht. The grand concept yacht has space for thirty-four guests as well as boasts features that include an infinity pool, a home cinema and a private spa. Each of the 6 decks have a particular character and function – The Beach Deck has a mid-ship beach lounge showcasing a seawater pool as well as float in tender bay and Guest Deck has a outstanding mid-ship pool along with a glass bottom, several spacious VIP rooms along with en-suite lounges and balconies. Hotel Deck caries several guest facilities like lounges, dining areas, bars, gym, garden as well as an exterior pool whereas The Wheelhouse Deck has double steering placements to conciliate bi-directional manoeuvrability. Other decks include an office, a kids’ playroom, library, sky lounge as well as an exterior deck along with lounge seats. As a whole, Symmetry will have around 1000 square meters of exterior deck space. Sander J. Sinot, the designer, told that the yacht’s layout is made by symmetrically building up from the centre, instead of using the traditional linear set up.